Here is El caballo blanco ("The white horse") by the great Lola Beltrán. 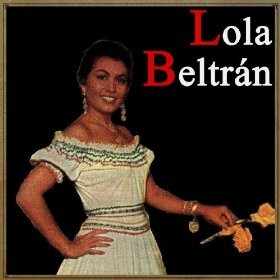 Lovingly hailed "La Reina de la música ranchera" ("the queen of ranchera music") in her native Mexico and popular throughout the world for 40 years, the multi-talented Lola "La Grande" Beltrán was truly a superstar. Over the course of her distinguished career she recorded more than 100 albums (many of which went gold) and set a standard for ranchera music that remains unequaled. She performed before audiences from South America to Russia (she was acclaimed from the most important balconies of the world: as is the case with The Palacio de Bellas Artes in Mexico, Madison Square Garden in New York City, the Olympia in Paris, and also the Tchaikovsky Hall in Moscow) and met such historical figures as John F. Kennedy, Charles de Gaulle, Francisco Franco, and the King and Queen of Spain. As an actress Beltrán appeared in about 50 films opposite some of the Spanish-speaking world's most popular male stars. 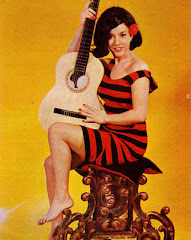 Born María Lucila Beltrán Ruiz in 1932 and raised in El Rosario, in the Mexican state of Sinaloa, she started out as a secretary at radio station XEW and was discovered by famed singer Matilde "La Torcacita" Sánchez. Possessing a powerful and unusually beautiful voice, it was not long before she changed her name and found herself popular in all areas of Mexico and beyond. In 1994, Beltrán celebrated her 40th anniversary as a singer at the Palacio de las Bellas Artes (in a show simply entitled "One voice, one woman... Lola Beltrán"). Beltrán's death on March 25, 1996, was as sudden as it was unexpected. Though she was 64 years old, she was still busy recording and booking new performances. In honor of her life, her body was carried from Mexico City to her hometown. Thousands of fans came to pay their final respects. Television stations across Mexico aired her movies and offered special tribute programs for an entire week while radio stations continuously played Beltrán's songs. 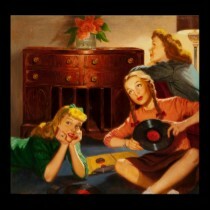 Listen to Mexico's greatest singer and enjoy!